His main stats didn't say much, but a Dodgers scout happened upon him and almost didn't believe what he saw, May told The Oklahoman. "He put the ray (speed) gun on me and I was throwing 88 (mph)," May told The Oklahoman in 1988. "He said he shook it a couple times because he didn't think it was right." May went on from that chance meeting to a long career in the pros - and to two stints in the majors with the Rangers and the Cubs. May's career began in 1983, taken by the Dodgers in the sixth round of the draft out the University of Wisconsin at Stevens Point. May started with the Dodgers at rookie Lethbridge. He saw 13 games, started six and ended with a 5.01 ERA. He moved to single-A Bakersfield in 1984, where he went 8-10, with a 3.83 ERA. He made AA San Antonio in 1985, then AAA Albuquerque in 1986. After another year back at San Antonio in 1987, the Dodgers traded him to the Rangers. Assigned to AAA Oklahoma City, the Rangers brought May up as a September call-up. May got into three games for the Ranges in September 1988, starting one. He gave up seven earned in 7.1 innings of work. 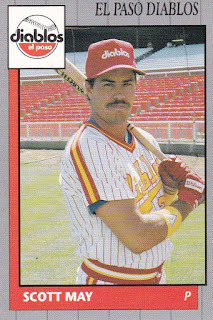 He returned to the minors for 1989 and 1990, moving to the Brewers system in the process. 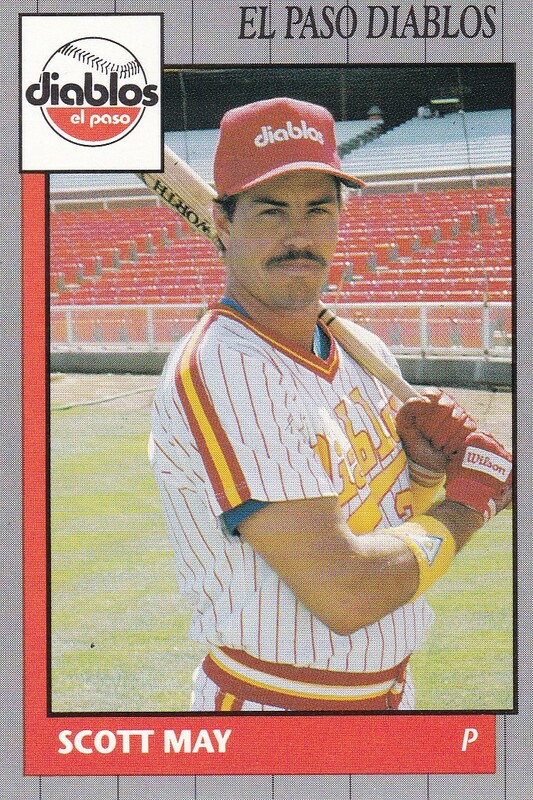 He played 1990 between AA El Paso and AAA Denver. May signed with the Cubs for 1991 and got his second look at the majors. He made two appearances, giving up four earned in two innings of work. He played at AAA for one more season in 1992, then returned in 1995 for a brief minors stay to end his career.